A rare opportunity - Join PONANT’s latest small luxury expedition cruise ship Le Laperouse, for a seven-night voyage Sydney to Hobart, with pole-position viewing as the 2019 Rolex Sydney to Hobart Yacht Race competitors clear Sydney Heads. 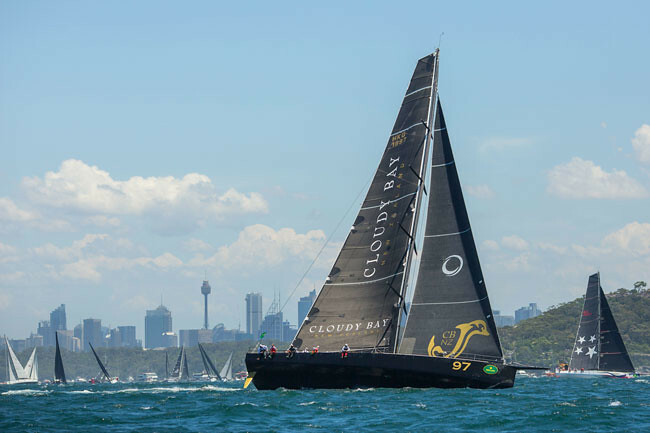 Board the ship for an early start on Boxing Day 2019, then leave the Harbour to be perfectly positioned off Sydney Heads, in the thick of the action when the maxi yachts round the mark and battle it out for the honour of clearing the Heads first. Then enjoy cruising down the NSW coast, breaking the voyage to visit Trousers Point on Flinders Islands and iconic Wineglass Bay on Tasmania’s east coast, before joining the racing yacht fleet at Constitution Dock right in the heart of Hobart in time for presentations, New Year’s Eve fireworks and partying. The voyage departs Sydney 26 December 2019 / 7 nights and includes three nights at dock in Hobart - your perfect ‘floating hotel’ location for yachting and partying enthusiasts. From $5,5400 pp twin share in a Prestige Stateroom on Deck 6. Background on Le Laperouse: The first of six Explorer Class small luxury expedition ships being constructed for PONANT, progressively joining the fleet in 2018, 2019 and 2020. Launched in 2018 the environmentally-friendly Le Laperouse has just 92 spacious staterooms and suites, all with private balcony, an infinity edge swimming pool, world-first underwater multi-sensory lounge with large glass windows below the water line, movable marina, and a fleet of 10 Zodiacs. You will want for nothing - choice of dining options, Sothys spa, sauna, Hermes toiletries and fine linens, 24-hour room service, Open Bar, fine cuisine, intuitive service - all imbued with French ambiance. Chic, stylish and intimate, this is small ship cruising at its best. Contact your travel agent, or PONANT on Australia: 1300 737 178 or + 612 8459 5000 / New Zealand: 0800 44 32 62, or email reservations.aus@ponant.com to request more information or assistance.